While busy people may be better off with 3 and some people can do more 5-6 days per week, 4 days per week seems to work really well for most people when it comes to building muscle and staying lean. A higher volume of training for most people is helpful for gaining muscle size. It also burns more calories and increases your metabolism post-training which helps keep you lean. Just be careful not to over-do it or you will get yourself burned out or injured. In the sample program below you will notice a range of sets so you can adjust as needed. It is hard to stay lean when your entire workout consists of only arm exercises. While this may work for advanced bodybuilders, most people will gain muscle faster and stay leaner doing a whole body or upper lower variation. Click HERE for ideas and more info. 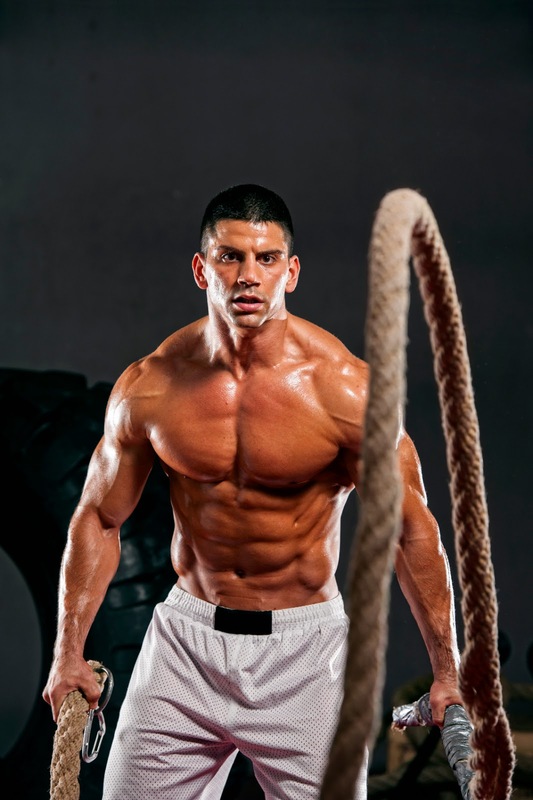 Multi-joint movements are best for gaining muscle and for burning fat. Since both of these benefits are important here, keep the single joint, isolation-type isolation exercises to a minimum. No program will work indefinitely. After gaining for a while, spend a month or two on a fat loss phase. 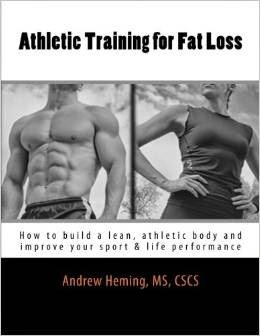 This will get rid of any small amount of fat you do gain and it will get you primed for another productive muscle gaining cycle. Exercises such as farmer’s walks are great for making you strong everywhere and this helps you lift more weight on your other exercises. Sled pulls are a great way to add volume to your session without beating on your joints and they are easier to recover from without the eccentric (lowering) stress. For more info, see my previous post The Magic of Loaded Carries. If you can safely do so, consider adding some sprints to your training. Besides being amazing for stripping fat off your body, sprints can actually help build a bit of muscle. Just be sure not to over-do them. Sprints are especially helpful if you do not have access to loaded carry equipment (e.g. sleds, farmer’s walk bars). Also, hill sprints are a great option here. Most days (especially non-training days), try to go for about a 30 min brisk walk – outside if at all possible. This is great for burning a few extra calories, relieving stress, enhancing recovery and improving your health. Also, because it is low intensity, it will not interfere with you building muscle. Click HERE for more information. Note: this a sample program to illustrate the concepts discussed in this post. Always consult your doctor before starting this or any exercise program. Also, be sure to adjust this program to your individual needs. As I mentioned in part 1, gaining muscle and being lean at the same time is not easy. However, you now have to tools to get the body that few have.